Why Is It Important to Shop for Credit? Whether you're getting your first credit account or you've already started to establish your credit and want access to more of it, shopping around is always wise. Sometimes, shopping around is the only way you can find a lender that will work with you. In other cases, it's the best way to get a good deal. If you're new to credit, some lenders won't work with you. Some financial institutions specialize in working with customers who have very established files while others are more willing to take on the risk of lending money to someone without a lot of experience. Unless you're already very knowledgeable about who will entertain working with you, shopping around might be the only way to find a lender for you. Among the lenders that will work with you, some offer different terms than others. If you're looking for a car loan, one might look at you and offer you a five-year loan with nothing down while another might require 10 percent down and only offer a four-year loan. As another example, one credit card issuer might try to hit you with a $99 annual fee while another would offer you a card with no annual fee. For some borrowers, the prime reason to shop around is to find a lower interest rate. Different lenders have different cost structures and, as such, charge different rates. They look at you differently when you shop around, too. When you're buying a car, a dealership is also more likely to offer you a fair interest rate if it knows that you already have a loan in hand, as it may have some discretion in what it charges you. Can You Get a Car Loan After a Repo? There's a hitch to shopping around, though. 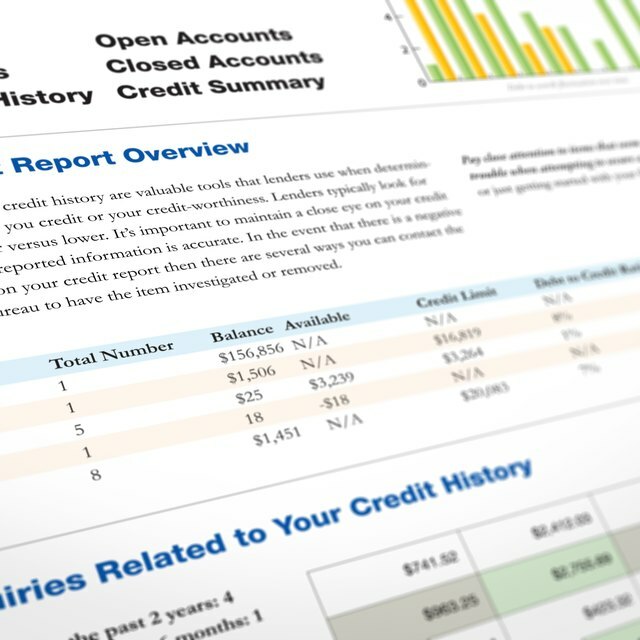 Every time you apply for credit, the lender makes an inquiry that goes on your credit report and can lower your score. However, according to FICO, when you apply for car, home or student loans, multiple inquiries get grouped into one as long as they're close together. Depending on which rules your lender uses, inquiries within 14, 30 or 45 days of each other could be treated as a single inquiry. With this in mind, if you're shopping for a loan, doing it quickly may help limit the damage that gets done to your score. With credit cards, FICO doesn't give you the same privilege, so you can shop around before you apply.